Your Global Vote Day can take place on any day up to and including 15 April 2019. Sometimes only one class takes part, and sometimes every pupil at the school votes. 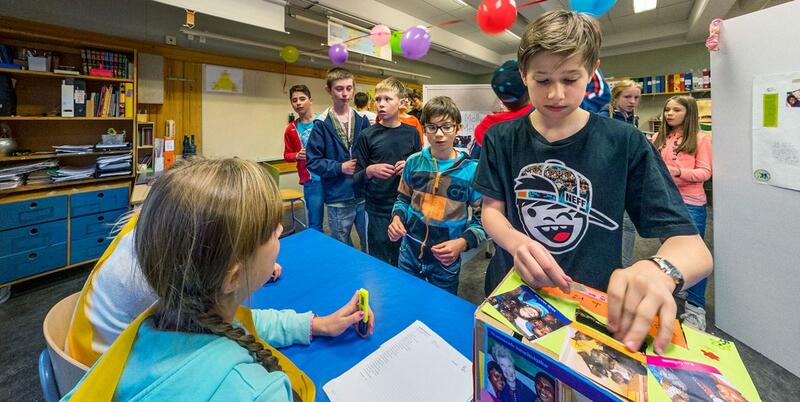 For some pupils, it can be a whole or half day if they take on key roles on the actual Vote Day and act as election offici­ators, election supervisors or vote counters. 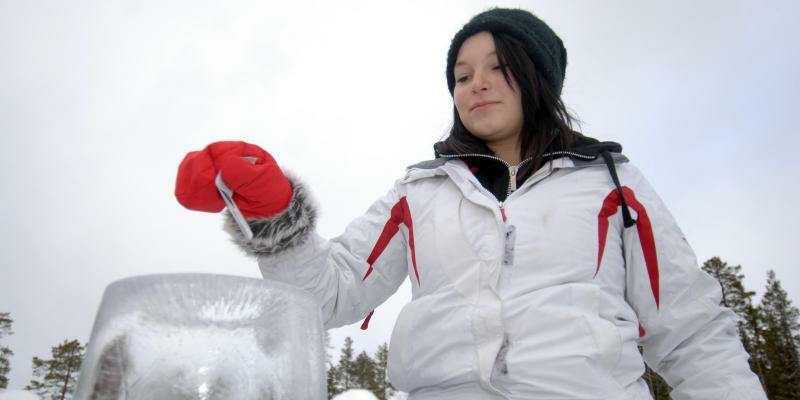 Naturally these tasks can also be shared out between several pupils on the day. Talk about the Global Vote and about how it usually works. Read one of the accounts about Global Votes around the world out loud (pages 19-33 in The Globe). Maybe show a short video. 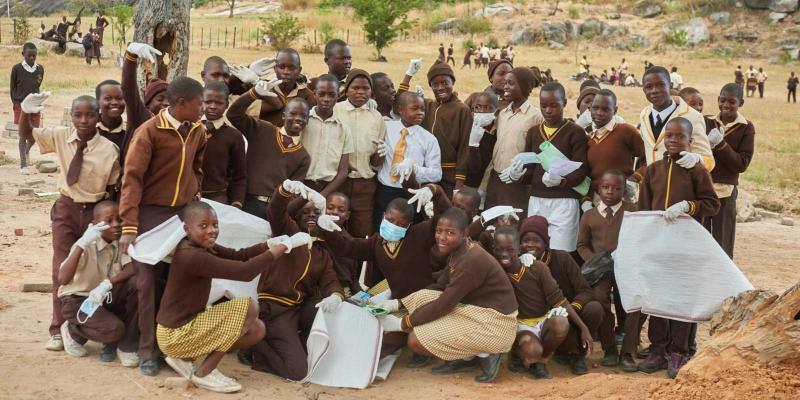 Get the pupils to work in pairs/small groups on different tasks to prepare for election day. Some can make the ballot boxes or the voting booths, while others decorate the voting station, cut out ballot papers, draw up election registers, etc. If you want to invite parents, local leaders and/or local media to your election day, that can be the job of another group. 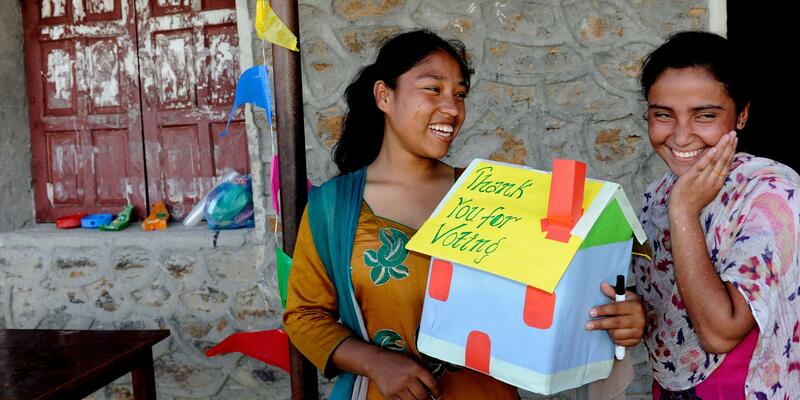 Ballot boxes can be made from all sorts of materials, like here, in Nepal. Photo: Johan Bjerke/WCPF. The voting register should include all children at the school who have a right to vote. On voting day, every student’s name should be ticked off as they cast their vote. The students are allowed to vote until the year they turn 18. Photocopy the ballot papers on the back of the teachers’ guide and cut them out, or make your own. 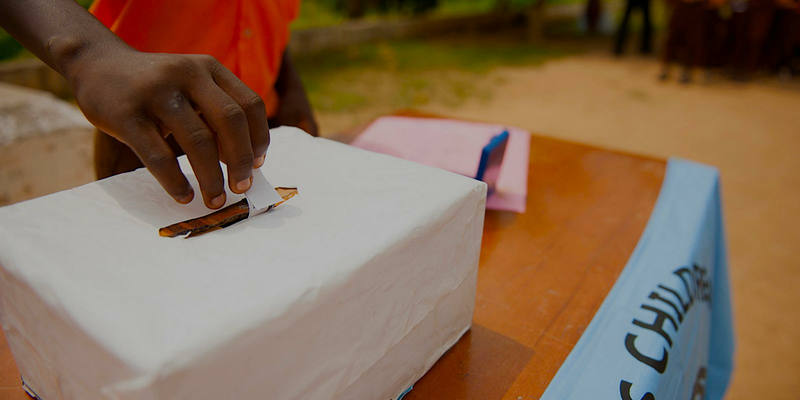 An advantage of using the pre-made ballot papers is that schools around the world use them. This strengthens the feeling of sharing in the Global Vote with a worldwide community of young people. Election booths are built so that voting can happen in secrecy. 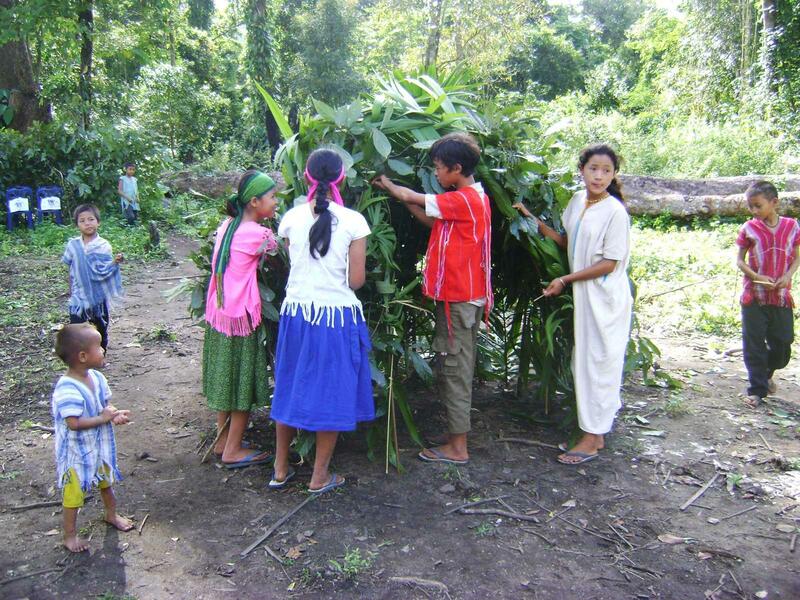 Here, children in Burma/Myanmar are constructing a both with materiala from the forest. Photo: WCPF. A voting booth is necessary to make sure voting is secret. They can look very different. 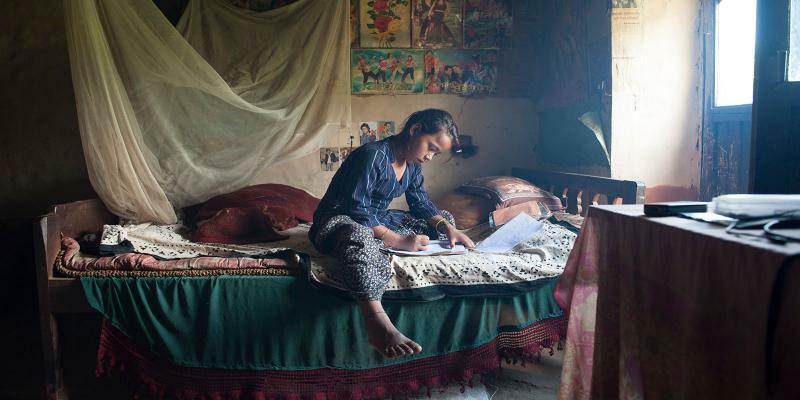 In Pakistan, the desert schools make a voting booth by putting two beds up on their ends and hanging fabric over them. In the Brazilian rainforest, students make a bamboo frame and cover it with leaves. You can also contact your local electoral authority and borrow voting booths from them. Have the students make ballot boxes from cardboard boxes, tin cans, jars, woven palm leaves or anything that could hold ballot papers. The ballot boxes can be covered and decorated with, for example, the WCP ‘rainbow children’ symbol, pictures from The Globe, colourful drawings or fabric. Prepare ink or paint that the presiding officers can use to mark the students’ fingers or nails once they have cast their votes. Examples of inks that are hard to wash off include juice from cactus fruit, ink from an inkpad, or marker pen. Ballot box made from an old tin can in Pakistan! 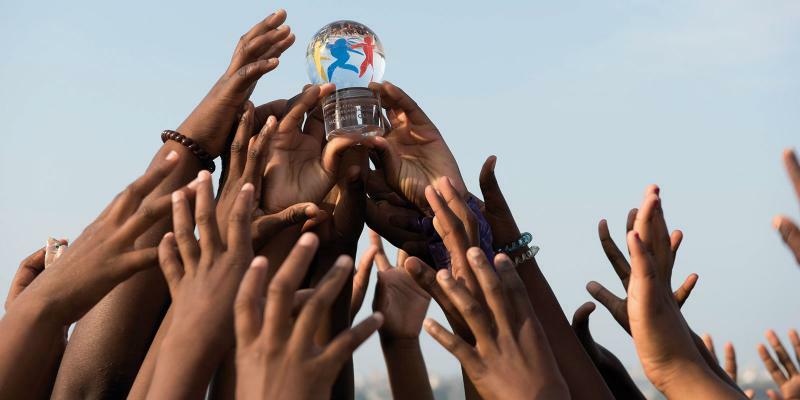 Photo: Briott-Marie Klang/WCPF. • Presiding Officers. Tick off voters on the voting register and give out ballot papers. • Election Supervisors. Oversee the voting and vote count, and check that all who have voted get a paint or ink mark. • Vote Counters. Count the votes and send in the result. 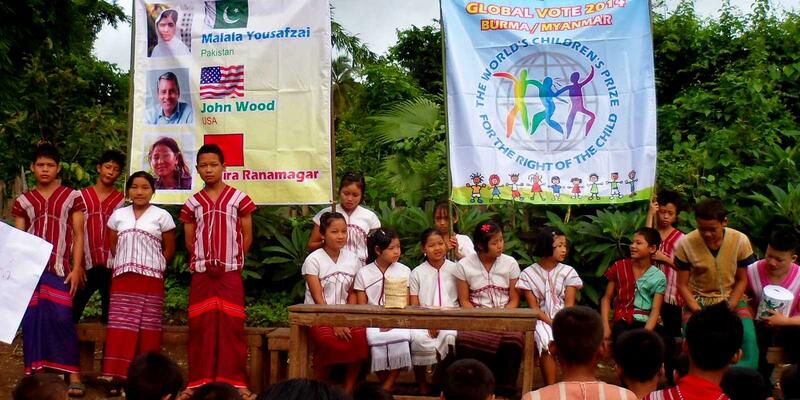 ... the students invite their families and local politicians to experience their Global Vote Day. It’s educational, fun and exciting for adults to join in and experience the children’s voting day. 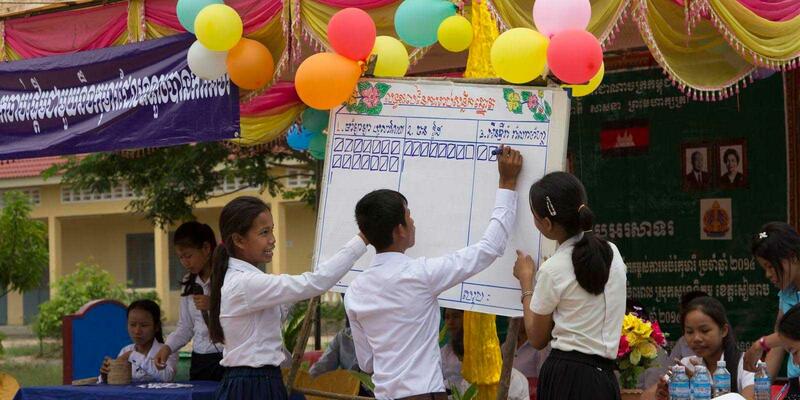 Careful counting of the votes in Cambodia. Photo: WCPF. Children join the voting queue. One by one, they go up to the presiding officers, who give out ballot papers and tick off each name on the register. Children who have been appointed as election supervisors keep an eye to make sure everyone is ticked off on the voting register, so that nobody tries to vote twice and no false ballot papers end up in the ballot boxes! The children step into the voting booth alone, one at a time, with their ballot paper in hand. Once they’ve marked their choice, they fold the ballot paper so that nobody can see how they voted. Then they leave the voting booth and place their vote in the ballot box. Once everyone has voted, the vote counters and election supervisors begin their work. Finally, the result of the school’s Global Vote can be announced. Sometimes this happens on the same day, sometimes a day or two later. Many schools end the day with a party. All around the world, children look forward to this day with joy and excitement. 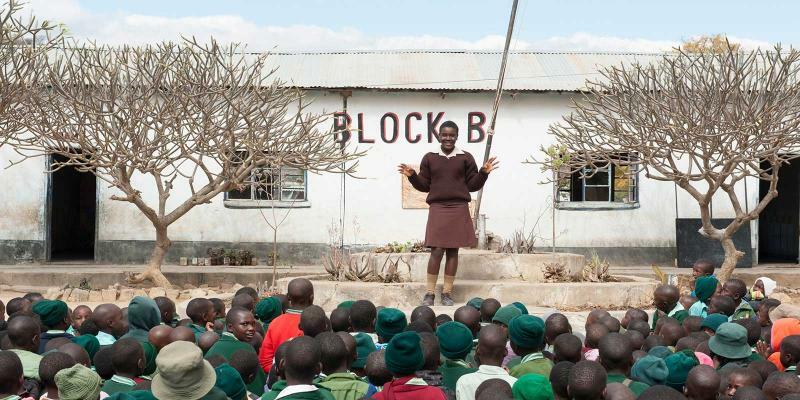 Some schools hold a ceremony in the schoolyard featuring speeches about children’s rights, music and performances. After making their choice in the privacy of the election both, the children cast their votes. Here, in Sweden. The Global Vote is not a competition. All candidates have made fantastic contributions. All three are honoured at the WCP ceremony and receive funding for their work with children. 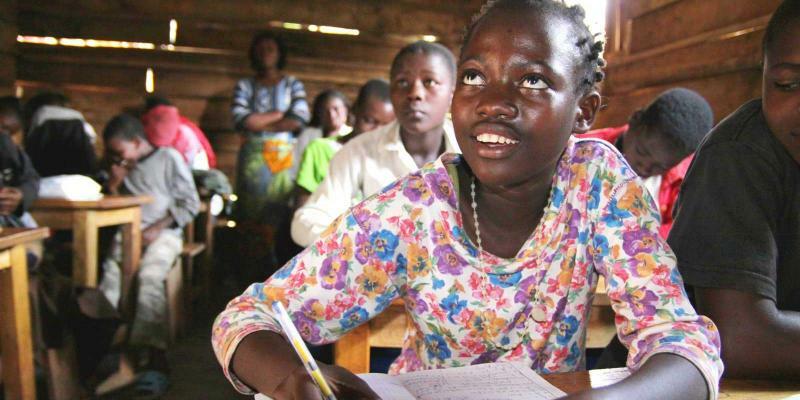 Whoever gets the most votes will receive the World’s Children’s Prize for the Rights of the Child. The other two candidates receive the World’s Children’s Prize Honorary Award. 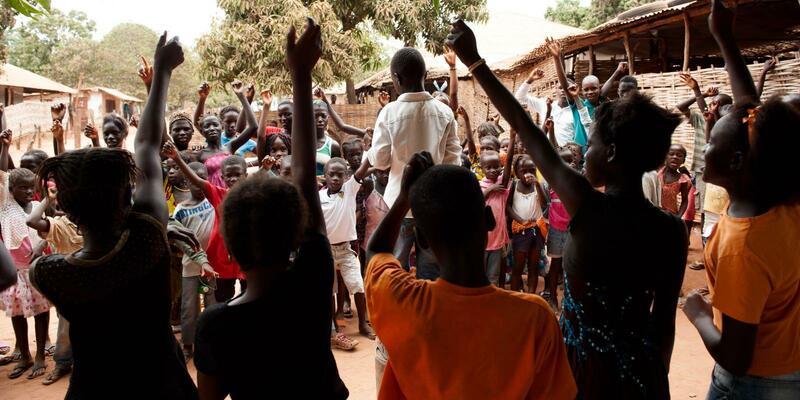 After the votes are counted it is time to celebrate, like these kids in Guinea-Bissau are doing. Lot’s of media are interested in hearing what the children have to say! 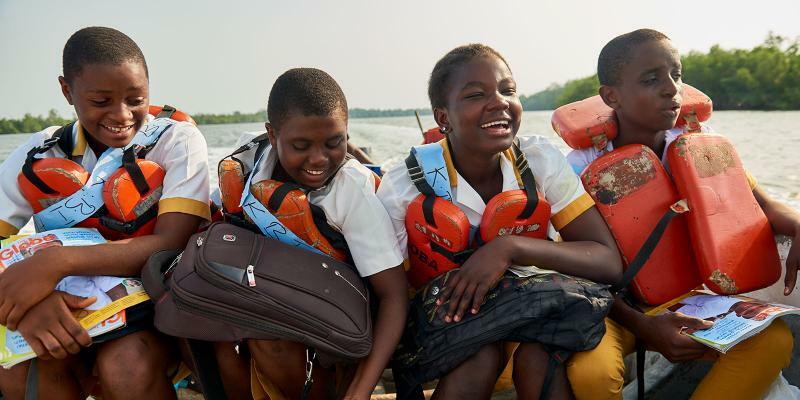 Once all the votes in the world have been counted and added together, the children themselves reveal the big news about the World’s Children’s Prize Child Rights Heroes and demand respect for the Rights of the Child. This happens on the same day all over the world. Your pupils can gather the entire school together to reveal the result, or invite local politicians and media to a press conference led by children (World’s Children’s Press Conference). The press conference is also an opportunity to talk about what changes they would like to see in terms of the Rights of the Child. The announcement is made soon after the Global Vote has finished, in May 2019. Contact WCP if your school would like to organize a press conference. If you are one of several Global Friend schools in your area targeting the same media, you can hold a joint press conference.